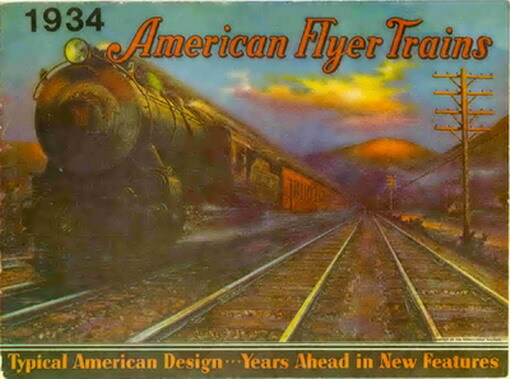 1934 American Flyer Catalog Reprint by Greenberg (JOB714) Excellent Condition - $12.50 : Olson Hobbies, Welcome To The Train Page! 1934 American Flyer Consumer Catalog. Front cover is in color, balance of catalog is in Black and White. This is a reproduction from 1975 made by Greenberg Publishing.